…To the men and women who have served our country, thank you! If you served in the military and currently have VA coverage, how will this affect your Medicare? Many retired veterans enrolled in a VA health plan believe they do not need to enroll in Medicare. They believe that their VA coverage will qualify as a substitute to Medicare. Most retired veterans are quickly discovering this is not the case. The federal government requires all veterans over the age of 65 to enroll in Medicare Parts A & B. More importantly, if the only health plan you’re carrying is VA coverage, you may be leaving your health and finances vulnerable. What if I go to a hospital outside the VA? The VA will not cover non-approved doctor or hospital visits outside a VA hospital. Consider the many scenarios that can arise where you need immediate medical attention and a VA hospital is not available. For instance, what would happen if you were in a major car accident? In emergency situations, the ambulance driver will not take you to the nearest VA approved hospital. You will be taken to the closest trauma/county hospital. Not having proper Medicare coverage in place can result in a very costly trip to the hospital. 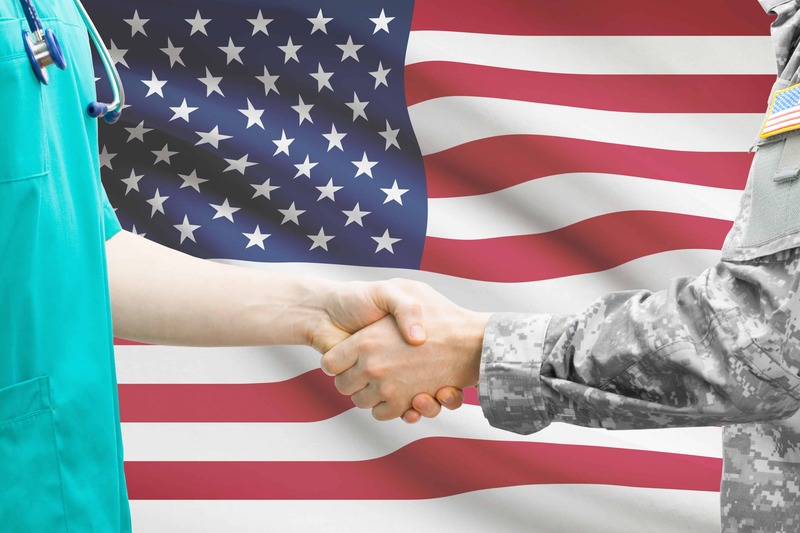 Medicare and VA coverage work together. If you have VA coverage, you must sign up for Medicare when you are first eligible, in order to avoid penalties. Enrolling in Medicare (A&B) will not affect your VA coverage. You will still keep your VA plan. When you have a routine checkup with your doctor, or you need a surgical procedure, you can still go through the VA. If you have an emergency and you’re taken to a non-VA approved hospital, then your Original Medicare (A&B) and your Medigap plan will be your primary coverage. Also, if you need to see a specialist not associated with the VA, then you have the freedom of choosing any doctor or specialist in the U.S. that accepts Medicare. PreviousPrevious post:Don’t Say No To Drug (Coverage)NextNext post:How Do I Enroll in Medicare Part A & Part B For the First Time?